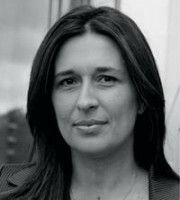 Aleksandra Auleytner is an attorney at law, partner and head of the IP and telecommunications, media and technology practice at Domański Zakrzewski Palinka law firm. She specialises in intangible rights, copyright law and industrial property law, as well as new technologies and e-commerce law. She advises technology sector companies – in particular, on implementation, maintenance and other agreements typical in the IT sector – as well as advertising agencies, TV stations, food and clothing manufacturers and online retail players. Dr Auleytner also participates in broadband network infrastructure construction projects and e-health projects. In addition, she advises on customs proceedings involving infringing goods. Dr Auleytner provides IP rights registration advice, from drafting IP protection strategies to submitting for protection and representation in proceedings within the Polish Patent Office and the EU Intellectual Property Office in Alicante. She has advised on numerous contentious cases, from invalidation to revocation motions. Dr Auleytner is also an expert in IP enforcement, having advised renowned brands on safeguarding against counterfeiting in the EU market. She has in-depth and extensive experience in settlement negotiations and in litigating infringers. She has been recommended by international rankings such as Chambers and Partners and Legal 500.